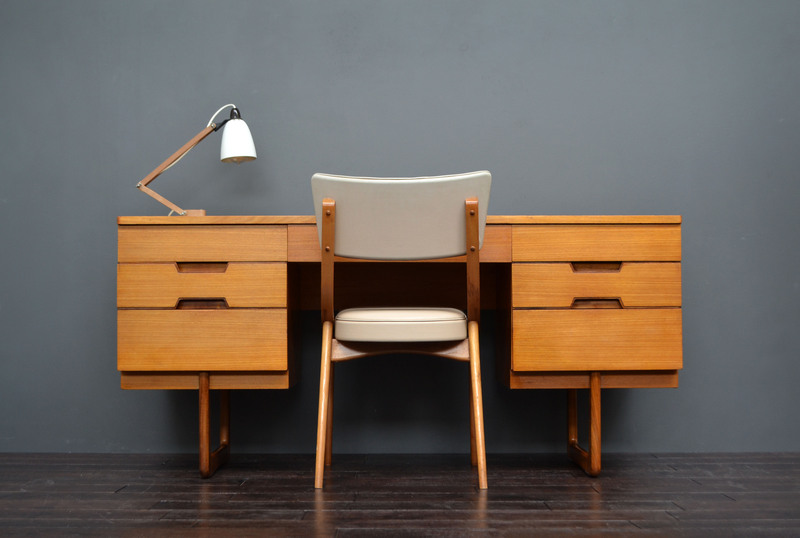 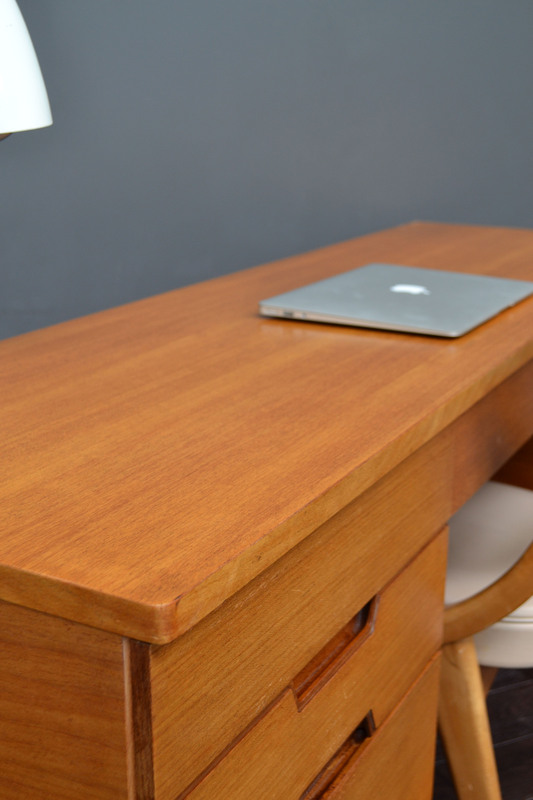 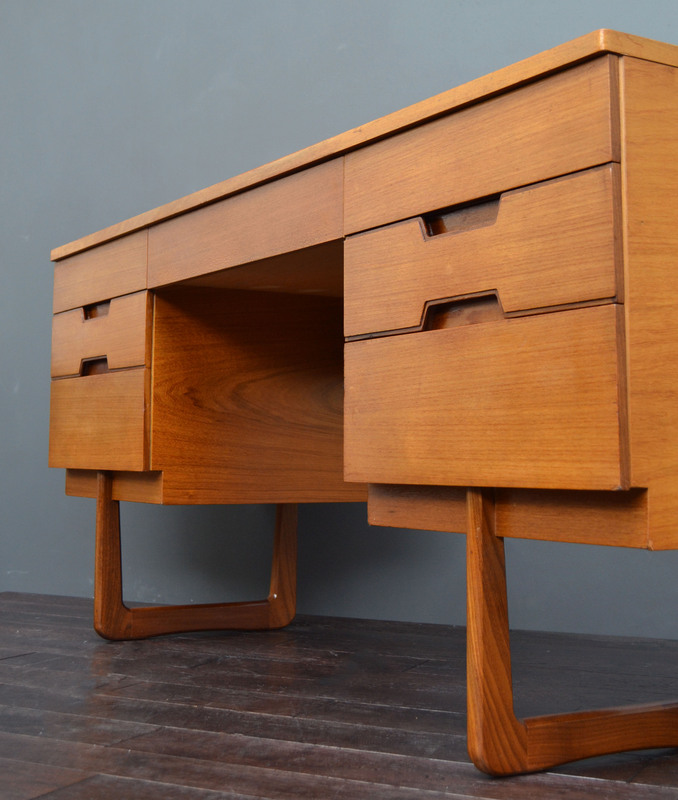 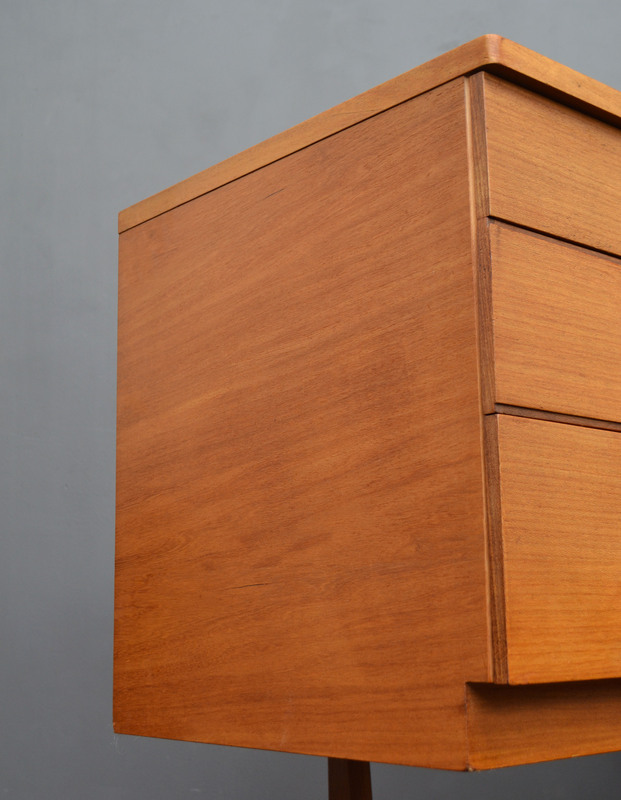 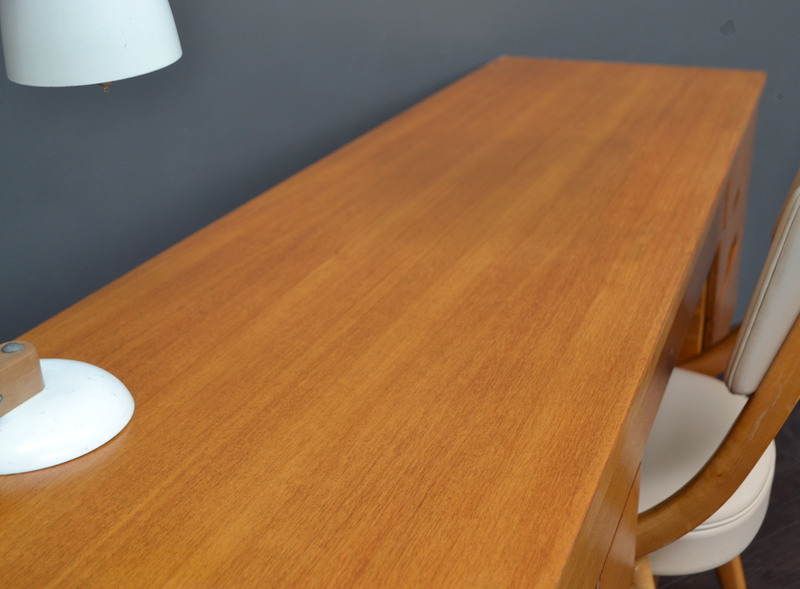 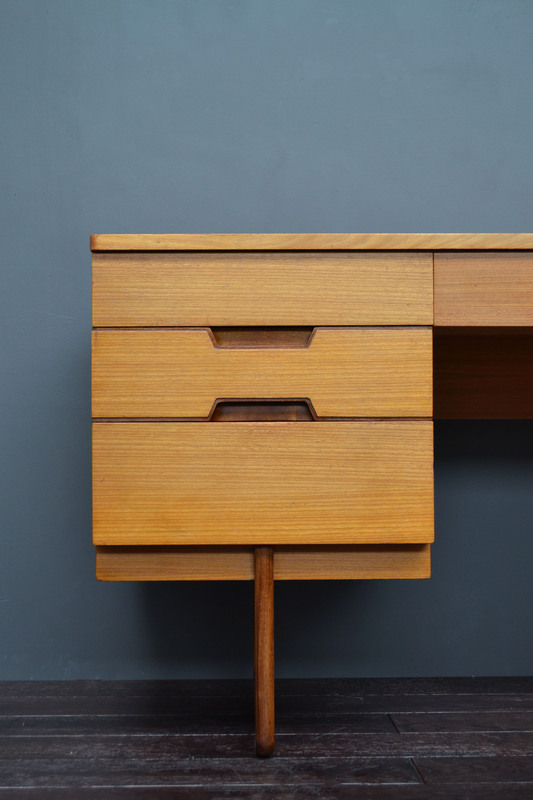 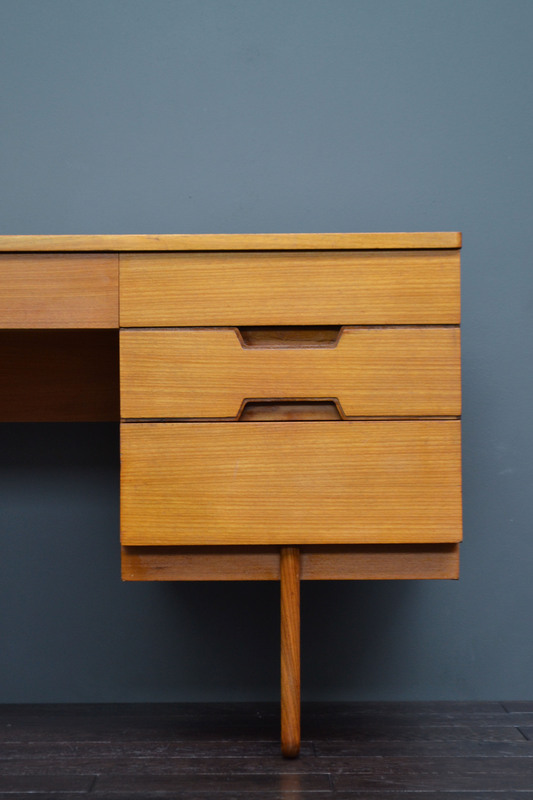 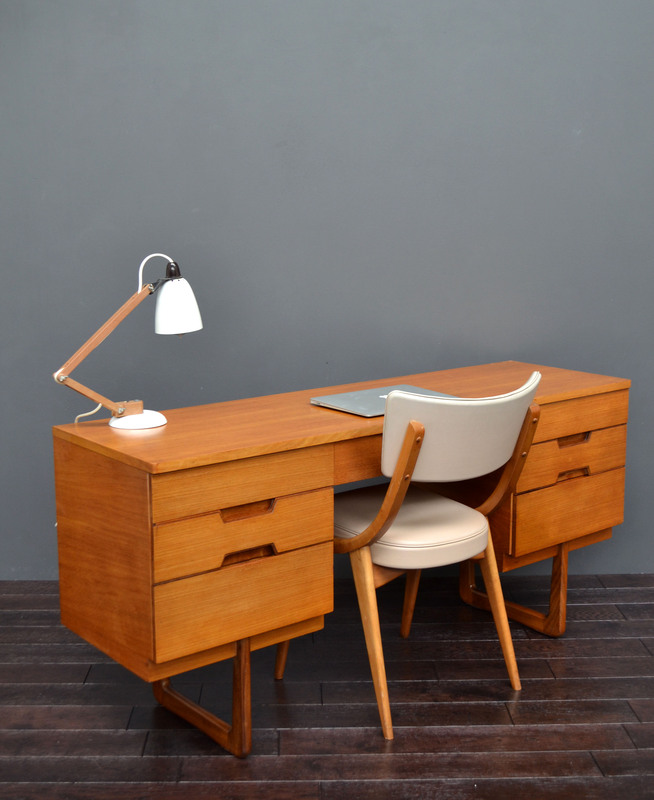 Stunning mid-century teak desk. 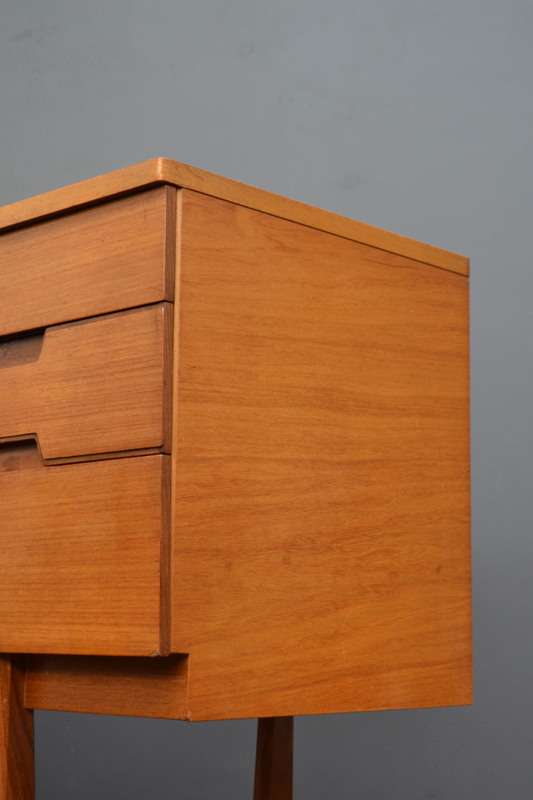 Featuring stylish recessed handles and solid teak sleigh legs. 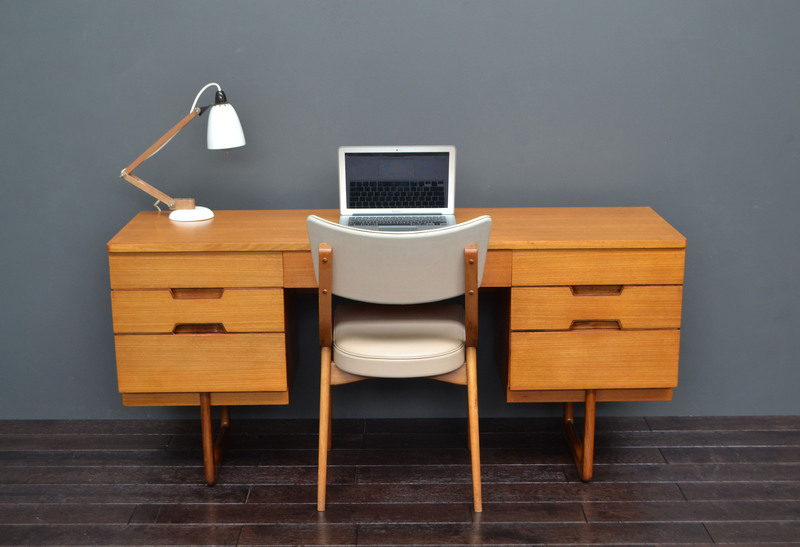 Manufactured by Uniflex, designed by Gunther Hoffstead, circa 1960’s.